Fairy shrimp are very rare in Bermuda now days. 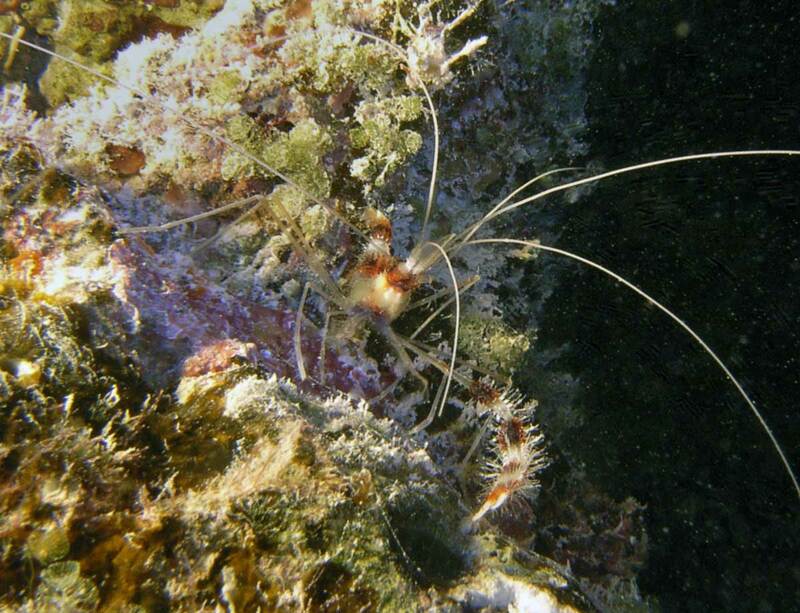 I have not seen fairy shrimp in Bermuda for many years now. The environment has changed and their specialized niche has shrunk. These candy coloured critters mate for life. If you put a third one in a tank containing two, there will either be a battle to decide a victor or the smaller will acknowledge the superiority of the bigger by dropping its pincers. My father had 16mm movies of a pair of these conducting a cleaning station. Fish would line up to have parasites cleaned off them. they would even open their mouths and one would go in and the other one would be on the outside, by the gill opening, to catch fleeing parasites. He even observed impatient behavior by those waiting next in line, where they would nibble the tail of the fellow in front to get them to move on.